What Did a First Century Assembly Look Like? Can we all agree that Protestantism has no clue? The exception would be the big dogs at the top; men like Piper and Sproul and MacArthur; leaders of academic institutions and seminaries. It’s clear that the laity is confused about what they believe, but I believe that many pastors are just as confused as the laity. I remember the last conversation I had with a pastor. This would be almost 3 years ago. We left the church in Columbus in 2011 and we started going to a small country church not far from where we live. And so this would be I think January or February 2015, maybe even before that. We had made the decision that we just needed to get out the institutional church once and for all. So my wife convinced me to talk to the pastor. I just wanted to leave. I told her there was no point in talking to them because it wasn’t going to do any good. But I wanted to make my wife happy, so I went. I met with the pastor and the assistant pastor one evening after dinner, and I must have sat with them for about an hour and a half. And I tried to explain what I thought was wrong with the current church model. So when I first read that my initial response was, ok David Koresh was the authority. So this guy is worried that home fellowhships might end up like the Branch Davidians without authority, but they had an authority in David Koresh and they still believed error. So his point is irrelevant because having authority is no guarantee that you are not going to have error. In fact, I would go so far to say that it is error that produces the perception for the need of authority. The authority of Protestantism and the institutional church is actually the logical conclusion of the error they perpetrate. What has John Immel been trying to ingrain in us for the last 5 years? Assumptions drive behavior. The authority of the institutional church is the product of their assumption. I am going to channel John Immel here – Man is depraved. He is existentially evil. The nature of his existence is evil. He is fundamentally flawed so that he cannot perceive truth. Because he is fundamentally flawed, because his mere existence IS evil, he is he is disqualified from being able to take action for good. He must therefore be compelled to take action for good, and because he must be compelled the take action, that requires some authority to exercise the use of force and violence if necessary. So you see authority is ALWAYS what you get when you start with the wrong assumption. But what if you start with a different assumption? What if you assume from the beginning that man IS competent; that man DOES have ability? Then that means authority is not necessary. The apostles did not exercise authority over the assemblies. They taught doctrine and persuaded through reason. And if people didn’t believer their arguments, they were free to go live their lives. They were the ones who had to answer to God. The apostles weren’t going to stand in judgment in their place. Bob the Elder: ever vigilant for false teaching on the horizon! the word is really better translated “overseer.” The Latin form of this would be “supervisor.” First of all the function of an overseer or supervisor is not one of authority. 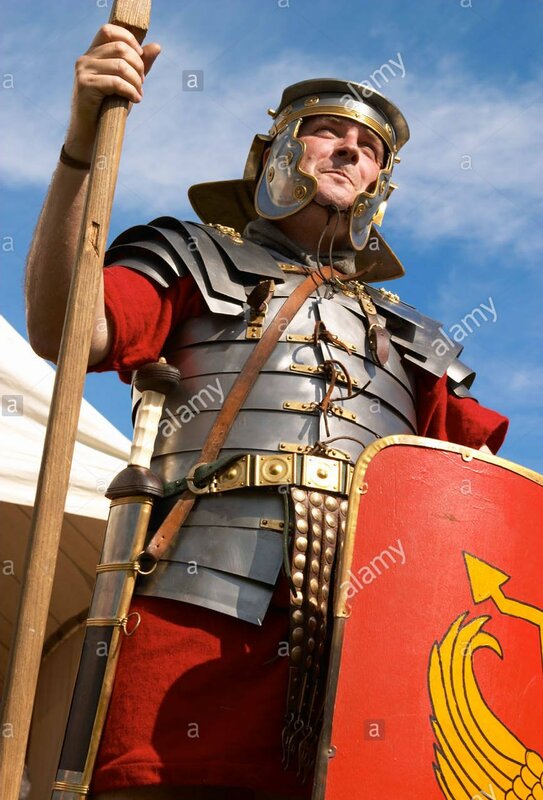 The Greek word is επισκοπος (epi-scopos), and the etymology of the word actually describes someone who stands at the top of a fortress wall as a sentry looking outward for any signs of danger. A sentry has no authority. He has no command authority. His job is simply to send out the warning cry when danger is coming so that appropriate action can be taken. This is the way it is with an elder (overseer) in an assembly of believers. He might be gifted to teach, but his role is that of a sentry looking out for danger and warning others to take appropriate action. (In the same sense he is a soldier; a warrior!) Note: he has no call to compel the action. He cannot force others to take action. All he does is sound the warning cry. The other point I want to make with regard to 1 Timothy 3 is that in most of your Bibles you see the expression, “if a man desires the office of a bishop.” The Greek manuscript says nothing like that. The word “office” is not in the manuscript. In fact the word “man” isn’t even in there. The way this verse literally read in the Greek is “if any desire oversight.” Let me say this a different way so that you understand. “If any desire to be overseen.” Different wording, but it communicates the same idea. The desire to have an overseer begins with the assembly. Overseers are optional. The assembly gets to decide if it wants an overseer or not. Paul goes on to say further that if you want an overseer, that is a good thing. It is probably a good idea to have someone on guard duty. If there is danger out there (and there is) you probably want to have someone who is adept at finding it, seeing it early, and warning others to take action (perhaps even willing and able to engage in battle). But such a person has no call to exercise authority to compel other to take action. And Paul then goes on in the rest of the chapter to list the characteristics of someone who would best be suited for this kind of job. So what kinds of things go on in a home fellowship? What happens when believers meet together for fellowship? Perhaps the first question should be why? Why do we meet for fellowship? Are we even commanded to? How often? I believe the best example we have is found right at the very beginning. Actually, if we wanted to we could make the case for an even earlier example of believers’ fellowship at the very beginning of Acts. If you remember on the day of Pentecost you had 120 believers in an upper room. What do you think they were doing? Even before that, you had the Eleven with their family members, probably also in an upper room where they cast lots to decide on a replacement for Judas Iscariot. There was this period of approximately 10 days from the time Jesus ascended into heaven to the day of Pentecost. What do you suppose they were doing for those 10 days? Just something to think about, you know, because Protestant orthodoxy tells us that the church started at Pentecost. Well, no, believers were having fellowship together before that. So if we go back to Acts 2, we have this expression “all things common.” Now, everyone here associated with TANC Ministries are solid individualists. Anyone who follows TANC Ministries is most likely an individualist himself. We believe in the rights of the individual and the notion of private property. The idea of Americanism was founded on the Enlightenment ideologies of individualism. So when we come to a verse in the Bible that talks about “all things common,” I imagine that would have a tendency to make us cringe a little on the inside. In fact many will point to passages like this in the Bible and use that to make the case for collectivism. But let us not make the mistake of taking the collectivist ideology of “common good” and conflating it with the Biblical understanding of “all things common.” They are not the same things. When Luke wrote the Book of Acts he did not have in mind the “common good”. Luke is describing the characteristics that all believers share in common with each other. Let’s take apart this phrase “all things common”. First, the word translated “all” is the typical Greek word παντα (“panta”), but it is preceded by an α (“alpha”). Now in most Greek words, the letter “alpha” serves as a negative particle and negates the meaning of a word. For example “a-nomia.” Nomos means “law,” so “a-nomia” would mean “no law” or “lawless.” But in this case, the “alpha” has a breath mark on it, making it pronounced with an “h” sound, so this would be “ha-panta”. What this does is gives extra emphasis to the word it modifies. So when Luke says “all things” he is emphasizing “all” absolutely. It qualifies the extent of the meaning of all. It is all things absolutely. The word translated “common” is the Greek word κοινος (“koinos”). This same word provides the root for the word κοινωνια (“koinonia”) which is often translated “fellowship”. I’ll talk more about this idea of “fellowship” in just a little bit. Common can be understood a couple of different ways. It can mean common as in shared by all. 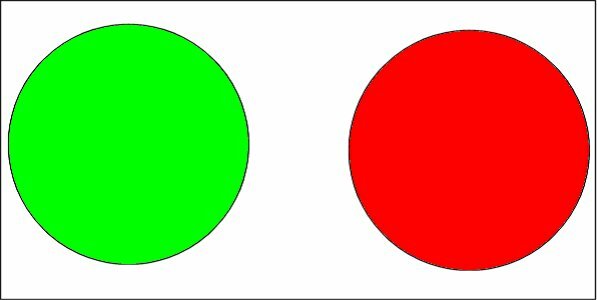 If you look at the circles to the right, you can see that one is red and one is green. I might ask you, what do these two circles have in common? They are both circle, but we could also say they are both the same size. We could get even more specific and say they have the same radius, the same diameter, the same circumference, the same area. Question: does their sameness at all take away from their individuality? What if they were the same color? Would they cease to be individual circles? No. Notice that even though they could be the same “absolutely”, they still remain individual circles. Their individuality is preserved. Really the only way to make both these circles absolutely the same would be for them each to occupy the same time and space, and then what you really have is only one circle, and you have effective destroyed both in the process. You no longer have two distinct individuals. This word for common has a parallel meaning in the Hebrew that is often translated as “profane.” Now we usually associate profane with profanity or foul language. But the basic meaning of profane means common. In my 2014 session we looked at holiness and we learned that the opposite of holy was profane. Throughout the OT there was often this contrast made between the holy and the profane. Profane in this sense carries with it the idea of being ordinary or regular or everyday or just like everything else; common. This might not be the case so much these days, but when I was growing up we had a set of regular dishes for everyday use, but we had a special set of dishes that we used for company or for holiday meals. In the true sense of the words, the regular dishes were profane, and grandma’s good china was holy. There was a distinction made. Now there was nothing magical or mystical about grandma’s china. It didn’t have bestowed upon it some dispensation of divine power or attributes. What made it special was the fact that it was set aside for special occasions. If we used grandma’s china every day it would no longer be special. This is the difference between holy and profane or common. So when we say that these first believers in Jerusalem in the 1st century had all things common, we mean that they were all just like each other. They shared certain characteristics that made them just like every other believer. So what were those characteristics? They are part of God’s family. What does it mean to be part of God’s family? They are free to love through obedience to the law. Now let me ask you this. Does having all things absolutely in common mean that everyone was identical? No. Each person still retained their individuality. Think about their professions. You had merchants, skilled craftsmen, skilled laborers, you had those who were slaves (δουλος “doulos” – bondservants). You had each person being productive in themselves, producing those things necessary to sustain life, each in their own way. And yet they had all things in common. When a merchant was born again did he give up being a merchant? When a bondservant became a believer did he cease to be a bondservant to his master? Incidentally, you often had the situation of masters and their bondservants both in the same assembly of believers who were born again, and yet their earthly relationship to each other didn’t change. So each person in these assemblies of believers are still productive individuals. Each is pursing a value exchange for the things that are necessary to sustain life. But then you have this line in verse 45 of Acts chapter 2. So what is going on here? Let us put this in context. Here we are in Jerusalem and the immediate area and however far out in Israel the gospel has gone thus far. We learn in a few chapters that is has gone as far north as Damascus. In fact you have this individual by the name of Saul; a devote Pharisee; well versed in the law; studied under Gamaliel. Saul has received written authorization from the Jewish leadership to go out and find believers and put them into prison (or even execute them in many cases). Now imagine you are a business owner in Jerusalem, or you are trying to sell your product at the local market. People know that the religious leaders are looking to arrest believers. Do you risk your customers finding out that you are one of these believers? Or how is your business affected by the knowledge that you are a believer? How many customers quit on you because of hatred or fear? What if you are a worker and your employer finds out you are a believer? How many people find themselves out of work because of their faith? Try to speculate on all the various circumstances in which believers in Jerusalem immediately find themselves. This is the kind of persecution that was a reality for many believers in these assemblies. Now despite this persecution, you still need to eat. You still need clothes. You still need a place to stay. You still have a family for which to provide. What do you do? Most people go to family. But what do you do when your family has cast you out? Remember last lesson we talked about getting thrown out of the synagogue and the stigma that goes with that? Where do you go? And this is where this reality of the Body of Christ being a family is so vital. We are a literal family. We are all brothers and sisters. And when one of your family members is hurting, when another part of your body is hurting, there is this natural desire to care for those who are hurting. And this is what you see happening in Acts 2 and Acts 4. You have the Body of Christ recognizing a need, seeing other members of the Body suffering under persecution, and then taking action to meet that need. What did they do? They didn’t go to the government and demand everybody pay taxes to confiscate wealth and redistribute it. This is important – of their own volition they sold their surplus and brought it to the assemblies so that it could be given to those who were in desperate need. Why was that? Because they had all things common. Yes, what they sold was the result of their own production, but they also recognized what they had in common; they were a family. Do you remember the context of this verse? You originally had a situation where the believers there thought they had missed the rapture. And they were also concerned about what happened to their dead relatives. Would they see them again in the Kingdom? And Paul assured them that death was not the end, in fact the dead are going to be raptured first, in the First Resurrection. And he also gave them a list of things to look for that had to happen before the rapture occurred. As a result, by the time Paul got around to his 2nd letter to them, what happened is you had a handful of people who decided that they were just going to sit and wait around for the rapture. If Christ could come at any moment, then why bother working? And then these freeloaders would come to the fellowships and mooch a free meal off of everybody. Now it is one thing to be out of work or in need because you are under persecution. It is an entirely different matter to willingly refuse to work when you are able to do so. It is one thing to be unable to work because of immediate circumstances; it is another to choose not to work because of laziness. So if we contrast these two situations where in Acts you have persecuted believers having their needs met by others in the assembly versus in Thessalonica where you have people refusing to work, I think you can understand the difference. When we say “all things in common,” we are talking about making sure each other’s needs are met because we are a family, and a family cares for itself. But I think the implication is clear that such care is meant to be temporary, and the expectation is that the individual in need will resume providing for himself as soon as he is able. We just spent all this time looking at what it meant to have all things in common, and I think this next point relates to it. It should seem pretty obvious then what “one accord” means, but lets take a look at it just for sake of clarity. The word in the Greek is ομοθυμαδον (homo-THOO-ma-don). It is made of the prefix “homos” meaning “at the same time or place,” and the root THOO-mos meaning “passion”. Literally it refers to heavy breathing or the kind of breathing that results from exerting effort. If you are passionate about something that means you put your all into it. You exert effort. Homothumadon suggests being together for a common purpose, and it was a purpose that these believers were passionate about. They dedicated all their efforts toward it. You can see how this is related to the idea of having all things in common. Not only did they have a common family, but they shared a common purpose. There is another expression in Acts 2:46 that is worth noting. It says that when they met for fellowship they still maintained their cultural Jewish heritage by meeting regularly at the temple. But they also went from house to house and shared meals together. I’ll talk more about this in a moment, but notice that they did this with “singleness of heart”. Now this seems to simply be another way of saying “with one accord”, but look at the word. In the Greek it is the word αφελοτησ (ah-fell-AW-tace). Literally it means “without stubbing your toe on a stone.” Now the picture here is of what in their culture they would refer to as a stumbling block. Jesus was called a “rock of offense” or a stumbling block. 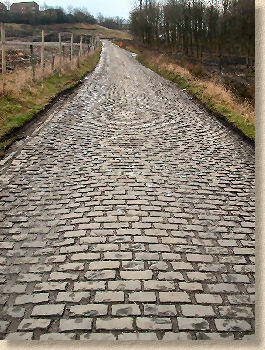 The idea is a road paved with flat stones, and as you walk along you don’t see that one of the stones has heaved up a little bit and you trip on it. (You take offense at it). When the believers met for fellowship there was no false agenda. They were there for one simple purpose. In part one we talked at length about what the purpose was not. It was not for the purpose of worship. We talked about worship and what it means to worship “in spirit and in truth.” Basically that worship does not happen at a place, so we don’t assemble for worship. Worship is what happens whenever we show love through obedience to the law. Worship is when we show love to God and to others. So we do this every day. When we behave like the children of God that we are, we are worshipping the Father in spirit and in truth because we are doing what He made us to do. So then if the reason we assemble is not to worship, why do we assemble? The answer can be found in Ephesians. The entire epistle of Ephesians is a fantastic treatise on the subject of the Body of Christ. Paul develops a logical progression of thought about the “mystery” that was hid from Old Testament saints; that God would join Jews and Gentiles together into one Body that would be neither Jew nor Gentile. Paul refers to this as the New Man. In chapter 4 Paul details that the giving of spiritual gifts was for the express purpose of edifying the Body of this New Man. At last year’s conference I talked about the exercising of spiritual gifts in love. I want you to notice how Ephesians 4 closely parallels 1 Corinthians chapter 12. The idea is that every believer has a specific gift. These gifts are analogous to physical body parts and the functions they perform. It should be clear then that the purpose of gifts is to allow the body to function as a whole; to do what it was designed to do. In this case, the Body’s purpose is to go out and spread the gospel and make disciples. When we gather together with other believers, this affords us the opportunity to use our spiritual gifts. They don’t benefit us directly. We use our gifts to help build up other believers. Building each other up makes us stronger and it equips us to have the skills and the tools we need to go out and tell others the good news of the Kingdom. Therefore, the purpose of the assembly is not to worship, but rather to provide an opportunity for mutual edification of the Body. Let me repeat that. The purpose of assembling together is for mutual edification of the Body. Now that mutual edification happens through four functions. And Luke lists them for us in Acts 2 verse 42. Not to be accused of “scripture stacking”, let me show you these to make the point about how the believers were taught from the apostles. Teaching is the major function of the assembly. To have teaching you have to have a teacher, and a teacher is one of the spiritual gifts. One thing about a teacher: He needs to be able to persuade. But the most important job of a teacher is to teach people HOW to think, not WHAT to think, that’s indoctrination. That’s called state sponsored education. Teaching isn’t having people remember facts and figures. Teaching involves training people how to apply abstract concepts to life in a rational manner. I’ve already talked about this notion of having all things common. The word common is the word κοινος (“koinos”). The word fellowship then is derived from koinos. It is κοινωνια (“koinonia”). It means a partnership. Of course the best partnerships are the ones where the partners have something in common. Common goals, common interests. So the purpose of believers assembling is for fellowship, to share in that commonality, to be an encouragement to each other, to love and support each other, to rejoice with each other, to weep with each other. Look at these verses and think about this notion of fellowship and what it means. And we could also add all the “one another” passages to this. Take your Bible software and look up the phrase “one another” and then apply those verses to this function of fellowship and you get the idea. Do you see the logical reasoning behind this? Fellowship has to do with what you have in common. So Paul begs the question, how can you have anything in common with that which is not righteousness? How can light be a partner with darkness? The answer is, it cannot. You cannot “fellowship” with darkness and unrighteousness because you have nothing in common. The whole notion is the antithesis of what fellowship is. This is why I find the whole notion of bringing unsaved people to church ludicrous. They have no business there. It can be of no benefit to them because they have nothing in common with believers. The strict definition of church is the assembly, the Body of Christ, for the mutual edification of the Body. How can you edify someone who is not part of the Body? You cannot. This is why believers are ambassadors. This is why evangelism is an individual mandate. Each member of the Body needs to be equipped to go out to the lost, preach to them, and in preaching they hear, and in hearing they believe, and when they believe, NOW they are part of the Body, and they can join the assembly and be edified. That is fellowship. I have a friend who comes from a big Italian family. His “nana” is from the “old country” as you say. And as is the custom with Italian families (and I guess this is true with any large family) it wouldn’t be a family gathering without food. That’s just the custom. You get family together, you eat. And some families can put out quite a spread! So it should not be unusual that when the believers assembled together in the 1st century that their time of fellowship involved sharing a meal together. This expression “breaking of bread” has become a euphemism for having a meal, but it has its origins with the Lord’s Supper, or the Last Supper, or the Lord’s Table, or whatever you want to call it. So the suggestion here is that the Lord’s table was an integrated part of their fellowship meal. It wasn’t a separate ceremony or “ordinance”. It went hand in hand as part of the fellowship meal. And I am going to talk more about that in detail in part three. This one should go without saying. I don’t think I need to mention the importance of prayer. How many references could I cite, countless, where we are instructed repeatedly to pray for each other, pray for he unsaved, pray for our political leaders, pray for peace, pray for healing, pray for safety, pray for deliverance. I have often found it remarkable as I read through the New Testament all the people Paul mentions in his letters, and all the people for whom he prays. Can you imagine just how much time Paul must have spent in prayer; the number of people he came in contact with? I wonder how big his Facebook friend list would have been? But seriously, how much time must he have spent in prayer and still find time to write to the assemblies, and earn a living, and eat, and sleep, and travel? I think such a realization would have to be a rebuke to all of us because I know I certainly don’t pray as much as I should. So there must have been a lot of time dedicated to prayer in these assemblies for all the needs that there must have been. Think about what great prayer warriors these early believers must have been. So there you have it. The four functions of the assembly, all for the central purpose of mutual edification of the Body. All so that we can go out and make disciples. I don’t think it is unrealistic to have home assemblies once again in the 21st century that function the same way. Really what you see in the home fellowship is brothers and sisters behaving like a family. It’s really that simple. We are part of God’s family. We are his born again children. And this is how He wants his children to behave: loving each other, serving each other, and building up each other. A grand piece, Andy. It is set out in such a way that it makes a great study. Fabulous. In the Calvinist nonsense “church” I once visited before I showed them an ugly bird, the head honcho insisted that each one bring an “unsaved” (unelected) friend to “church” the following week. Why? First of all, they were not going to hear the biblical gospel (duh). Secondly, the elders and undercover agents were only going to jump on them to get all kinds of particulars (for all hellish intentions). Thirdly, the “unsaved” who did come never returned. By golly, I wonder why. Could it have been the posters of Calvin and Macarthur at the washroom entrances? Most prolly.